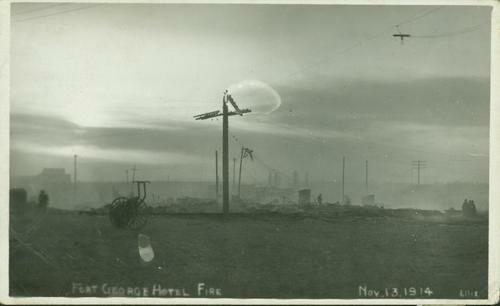 Fire at the Fort George Hotel devastated the entire block. Harry Perry's Tailor shop was right across the street from the fire. Handwritten annotations on recto: "Fort George Hotel Fire; Nov. 13, 1914"